with pigmets that are brilliant, intense and triple milled to bring out the finest colour and provide the rich, velvety bloom valued by pastellists. Available loose in 154 colours. Play the Art Spectrum Pastels video clip. For the colour chart click here. 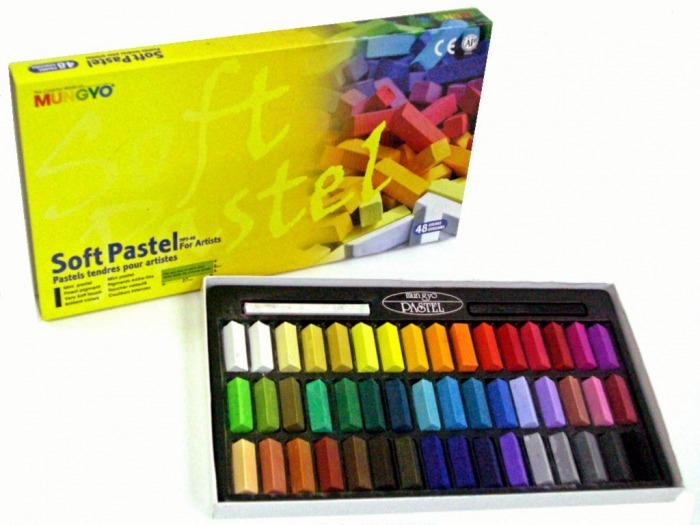 Mungyo Soft Square Pastels are medium soft, square pastel manufactured from high quality pigments. Characterised by a smooth, consistent feel, they offer powerful colour laydown, easy blending and represent great value. They are highly light resistant, and non toxic. Available in sets of 12, 32 & 48 colours. The Reeves company has been making excellent quality art materials since 1766 and this set is no exception. The high quality pigments provide vibrant colors and excellent lightfastness. 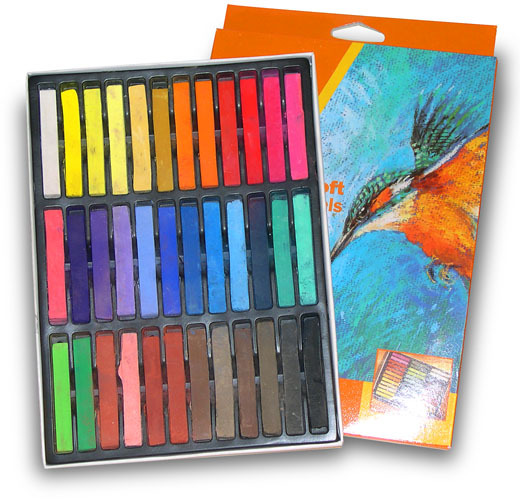 The colours in this set will provide many hours of creativity and make a great gift for artists of any skill level. Available in sets of 12 & 36. Click here for a basic introduction to Reeves soft pastels or download the soft pastels guide. 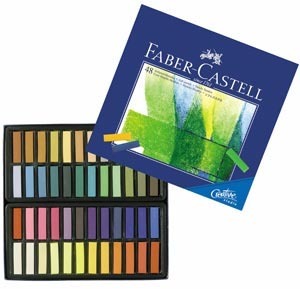 Faber Castel Soft Pastels are noticeably smoother and finer than other brands and our strong recommendation to artists' wishing to apply themselves seriously to this medium. The pastel technique offers a particularly wide variety of options for creating drawings to match one's individual feel for shape and colour. Try them out for yourself: these pastel crayons have intense colours, are very smooth to use, and can easily be merged and wiped. For brilliant results: ideal for hobby artists, art lessons at school, and colouring objects. Available in sets of up to 36 colours.